We are pleased to announce more than $1,200 was raised by families and friends of the ACDA in connection with Rare Disease Day on February 29, 2016!! We would like to give our special thanks to the employees of Suffolk County District Attorney’s Office (New York), Smithtown Library (New York), Family Design Resources (Pennsylvania), Mercer County Children and Youth Services (Pennsylvania) and Pleasant Lea Elementary (Missouri) for their outstanding support of our ACDA families. We would also like to thank all of our individual donors, those who sent pictures featuring the ACDA logo, wore #JeansForGenes and those who participated in our #Reach1000Likes campaign! Please see below for ways that ACDA families supported Rare Disease Day in 2016! Check out friends and family wearing or using items featuring the ACDA logo purchased through the ACDA store! Use coupon code “Spring16” for 15% off your entire order through March 2nd, 2016. Below is a flyer for anyone to use at their workplace that encourages employees to donate $5 to the ACDA and wear jeans to work on February 29 as part of Rare Disease Day. 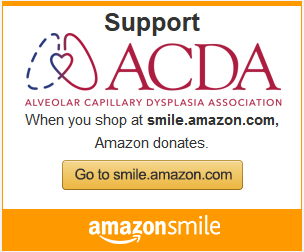 Several of our ACDA families asked their workplace to join this effort to raise awareness of ACD! Please share your successful Rare Disease campaigns and activities with the ACDA by sending your stories or pictures to secretary@acdassociation.org. We look forward to hearing from you! Rare Disease Day is an international advocacy day to bring widespread recognition of rare diseases as a global health challenge. The day is celebrated on the last day of February every year – February 29 in 2016. The ACDA has signed on once again to partner with NORD to support this awareness campaign. Anyone can be involved in Rare Disease Day and there are many suggested activities. The day has been established as a grassroots advocacy day and we encourage everyone to participate in some way. Click HERE for a full list of ways to participate in the United States and click HERE to visit the EURORDIS Global Rare Disease Day website! Organize a fundraiser to raise money for the next ACD research grant! The deadline is March 1, 2016 so a fundraising drive in February pairs perfectly with Rare Disease Day. Purchase t-shirts or other items featuring the ACDA logo by clicking HERE to shop in our Spreadshirt store.